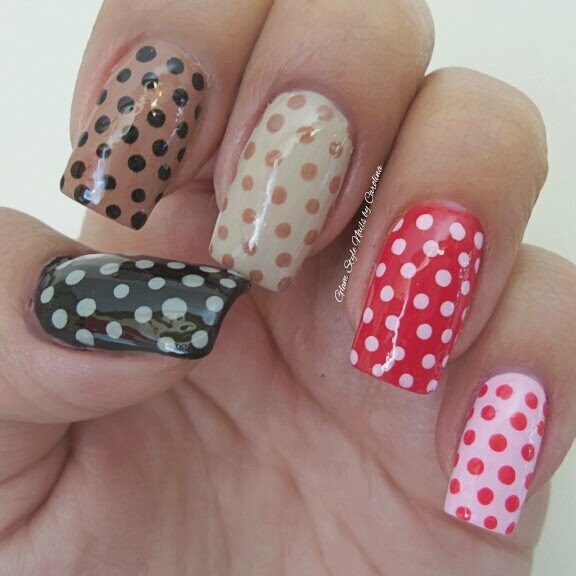 Ok girls... for those who loves polka dots today is a great day! Because I'm sharing the designs I have with simple dots! Here is the second design using a very and unusual color combo. At the end I love how this look like! And you?